Katie Rife is an active educator and performer of symphonic and new music. A fascination with the variety of sounds and instruments in the percussion family drew her to become a percussionist, after growing up playing piano (with a few years on flute before moving to the back of the band, and staying there). She teaches lessons in all aspects of concert percussion, including marimba and timpani. 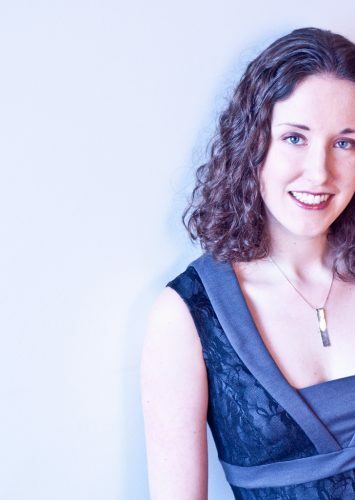 Katie has performed in concerts presented by Music on Main, Vancouver New Music, Redshift Music Society, UBC School of Music, and the Canadian Music Centre, both as a freelance musician and with her chamber group the Ethos Collective, of which she is a founding member. She performs regularly with the Okanagan Symphony, typically in the capacity of principal percussionist, and also works as an extra musician with the Vancouver Symphony. Other ensembles she has worked with include the Vancouver Opera, Turning Point Ensemble, Hard Rubber Orchestra, Vancouver Metropolitan Orchestra, Kamloops Symphony, Erato Ensemble, and Fringe Percussion. She holds a Masters of Music and Professional Studies Diploma from the San Francisco Conservatory of Music, where she studied with longtime San Francisco Symphony Principal Percussionist Jack Van Geem, and a Bachelors of Music in Percussion Performance from the University of British Columbia, where she studied with Sal Ferreras and Vern Griffiths. A many-time alumna of the Banff Centre, she has participated in several artist in residence programs, and nearly every music program that involves percussion. Summer program highlights include the Banff International Workshop in Jazz & Creative Music, Steven Schick’s Roots & Rhizomes Percussion Residency, and five seasons with the Banff Festival Orchestra. In addition to teaching at VAM, Katie also teaches at the Sarah McLachlan School of Music and the Langley Community Music School, and previously worked as an early childhood music instructor at Arts Umbrella. Katie has taught percussion clinics to high school students throughout the Lower Mainland and Okanagan Valley, through various music stores and as part of VSO Connects.